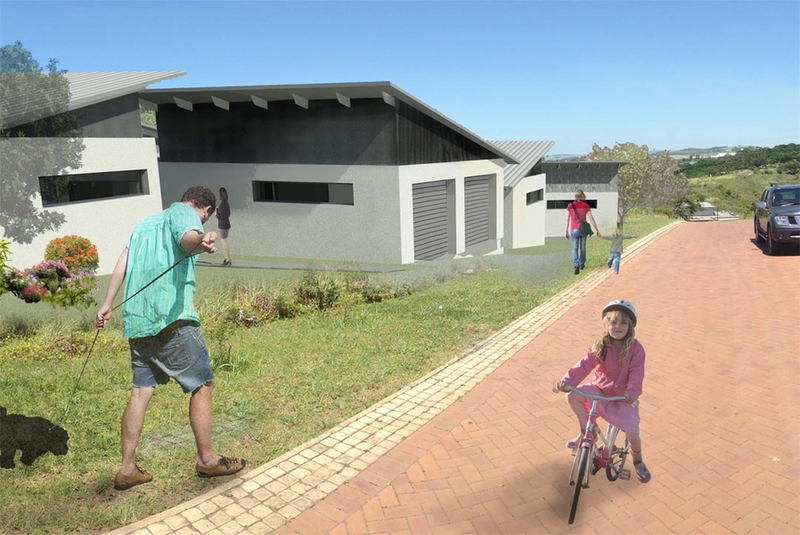 We had to design six houses as part of the first units built in Palm Lakes Eco Estate, Ballito. The six stands are all located on a very steep slope that used to be a sugar field before it was converted into stand for the Palm Lakes Eco Estate. 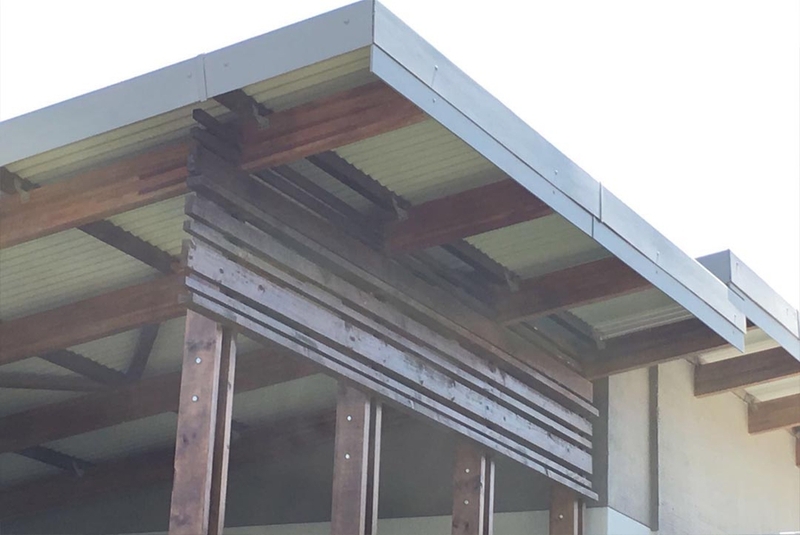 These six Spec houses were designed to be build by a developer. We do not believe in copy paste buildings, and the challenging sites did not lend it self to duplicated instances in any case. Each building is designed to fit onto its specific site, considering the site’s dimensions (some of the sites were very narrow), their orientation and slope. 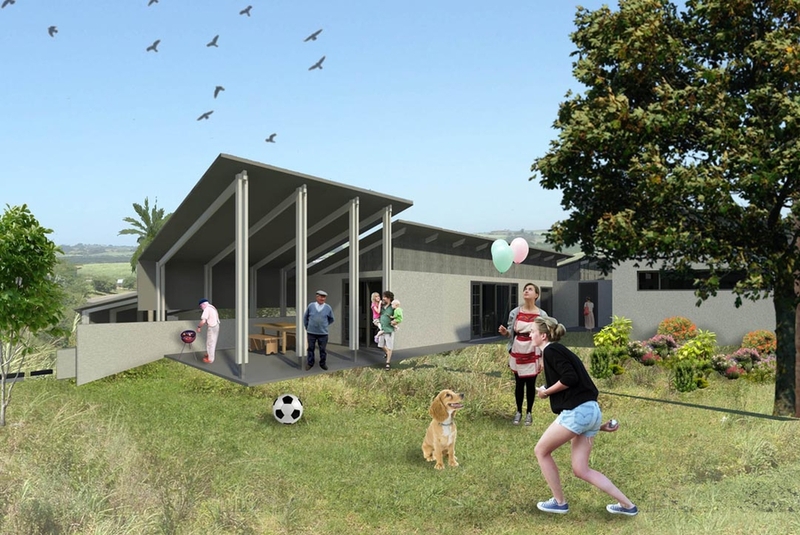 We designed the basic architectural components that make up each of the houses, eg. the bedroom wing, kitchen wing, garage etc. 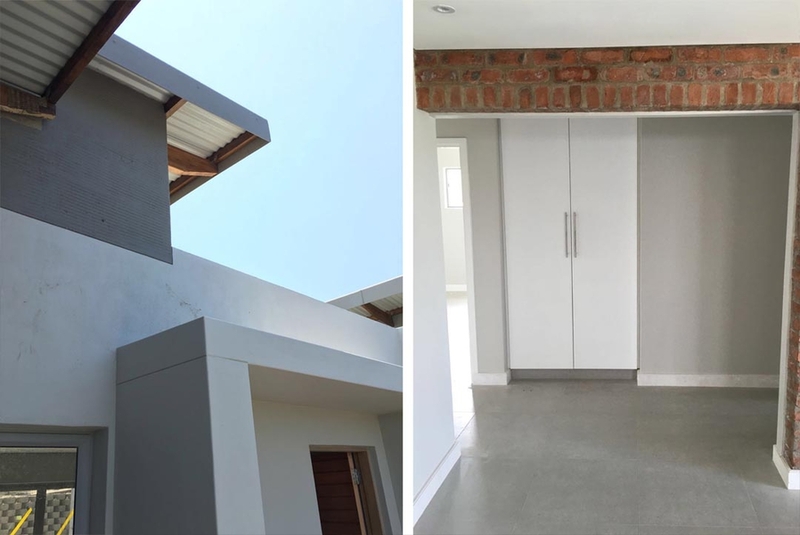 and then changed the configuration of these along with the linking elements that form the lounge and scullery, resulting in six individualistic buildings with a similar look and feel. 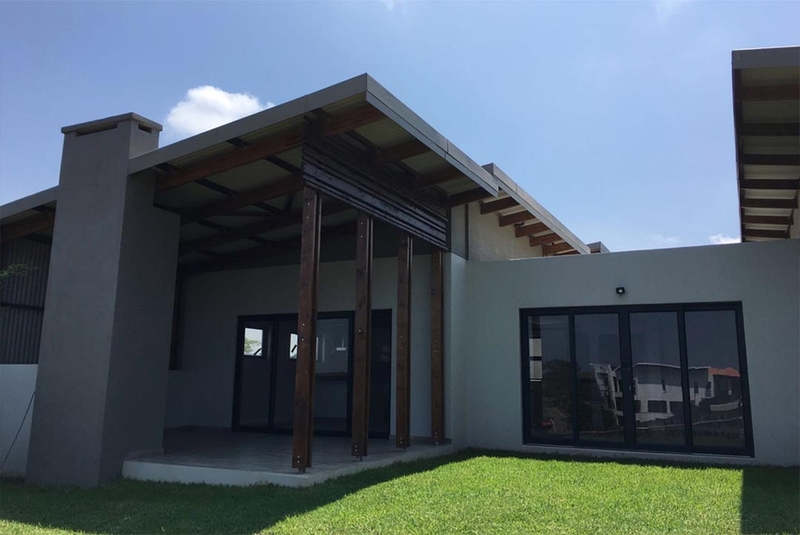 Each of the six houses were designed for the Ballito climate and to conform to the Palm Lakes Architectural Guidelines. 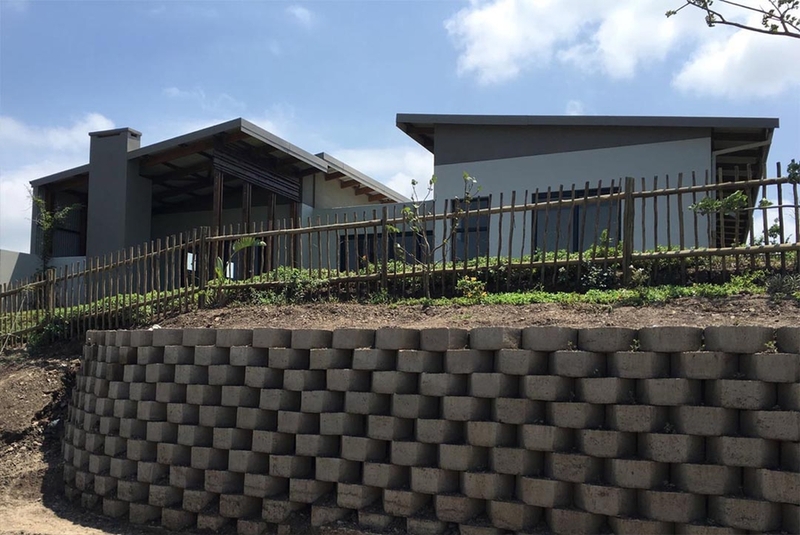 These three bedroom houses also include swimming pools and outdoor lounge/braai areas to enjoy the wonderful weather in Ballito.